We all know by now that images engage readers – draw them in to learn more about what might interest them. Images are an integral part of any campaign. Not only do they entice readers, they define the overall tone and mood of the campaign. Think of the difference between darkening skies with leaves swirling upwards and wide open fields with sunshine and puppies. Images lead the viewers, tell them what to expect. First, know your mood – and the mood of your target audience – define the tone of your campaign. From there, develop an engaging message that will resonate and include imagery that works for your brand, and your customers. Next – know your technology. 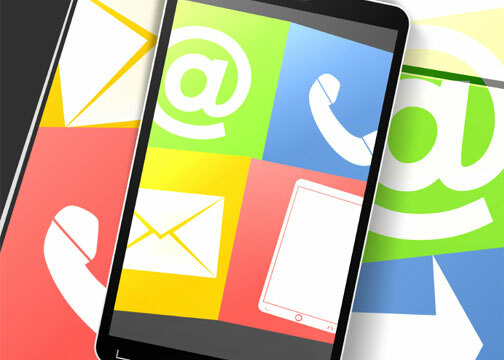 Nearly 50% of emails are read via smartphones or tablets now. Be sure to create your campaign using responsive design – this allows your message (including imagery) to adapt to the reader’s preferred email viewer. What next? Get those leads! All campaigns should include a targeted Call-to-Action (CTA). For example, do your users want to know more about the customer lifecycle/journey? Provide a download link to a branded eBook, PowerPoint presentation, Sales Guide, etc. – something that gives them what they need to be successful. Designing an engaging CTA image (errr, click-bait?) is important because, when clicked, potential customers will be directed a Landing Page. This page gathers information through conversion forms. So the CTA image/link needs to say “click me….click me….” – in fewer words, of course. Once clicked, users will be redirected to the campaign landing page. Just like the initial email/banner ad, this page requires cohesive, on-message imagery. In short – successful campaigns require on-target messaging, compelling imagery, and a seamless user experience. When looking for an agency to help design campaigns – you need to look for several areas of expertise. First, does the agency know and focus on strategy? This is the foundation of the campaign. Do they have experience using automated marketing software? This is the mechanics – the nails, glue, and duct-tape that holds it all together, and integrating all the parts. And finally – do they have the design experience to make the campaign look good? The “finishing touches” should never be overlooked – these are what drive first impressions. Interested in learning more about what makes good campaigns work? Give us a call – anytime. Or, if you’d like to do a little more reading, check out our eBook – 30 Demand Gen Tips – to see what tidbits you can take away to help grow your business.